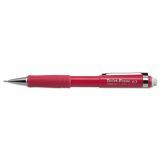 Pentel Twist-Erase III Mechanical Pencil, 0.7 mm, Red Barrel - Original automatic pencil features a jumbo twist-up eraser and a smooth, soft latex-free grip for the ultimate in writing comfort. Jumbo eraser is larger than all ordinary pencil erasers. Design also includes a top click, twist eraser, stationary tip, and fixed sleeve. 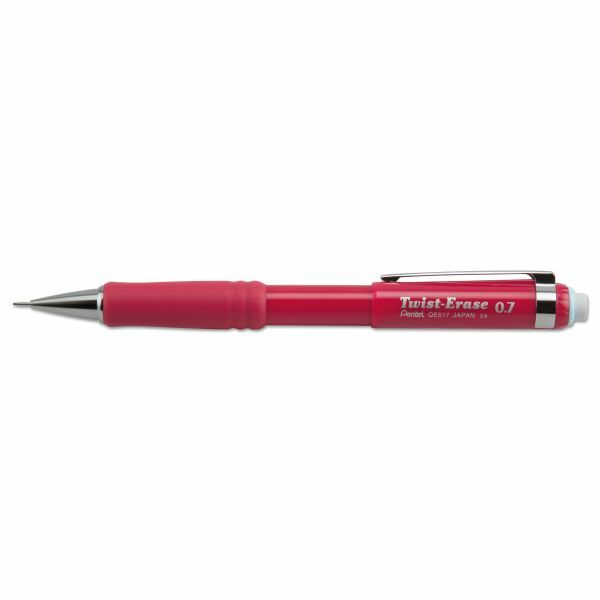 Refillable with Pentel Super Hi-Polymer Lead and E10 jumbo refill eraser.